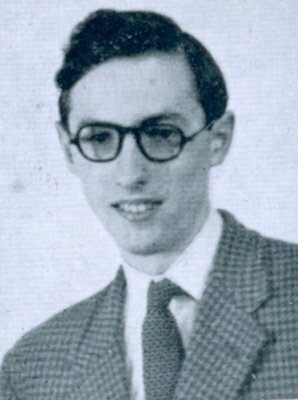 Donald Dewar became Labour MP for Aberdeen South in the 1966 General Election. After a gap in the 1970s he was elected MP for Glasgow Garscadden in 1978, and rose rapidly in the Party, becoming a member of the Shadow Cabinet in 1984, subsequently in charge of Scottish affairs and latterly Social Security. "He questioned the title "father of the nation", but he was without question the father of the Parliament. Under his leadership, this new Parliament had already found its head, its energy and its skills." 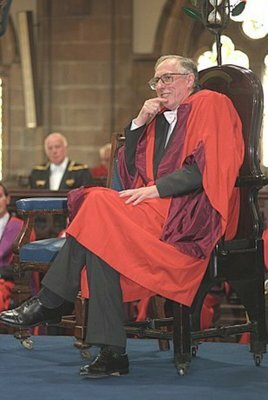 He became Chief Whip for the Labour Party in 1995 and Secretary of State for Scotland in 1977. From that position, he was able to start work of securing devolution arrangements for Scotland, having major architectural responsibility for the Scotland Act which enabled Scotland to have its first Parliament in almost 300 years. The first elections were held in 1999, resulting in a victory for the Scottish Labour Party, but having no overall majority, a coalition was formed with the Scottish Liberal Democrats. 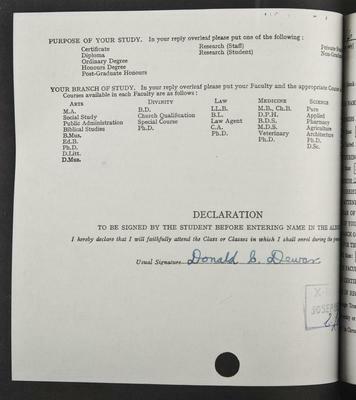 Dewar was nominated as First Minister and appointed by the Queen on 17 May 1999. He introduced the legislative programme for the Executive which included: an Education bill to improve standards in Scottish schools; land reform to give right of access to the countryside, a bill to abolish the feudal system of land tenure; and a bill to establish National Parks in Scotland. 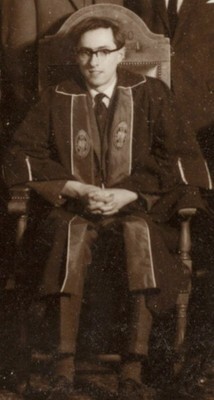 During the following year he was admitted to hospital with heart problems and died in October 2000. Alexander, Wendy. 2005. 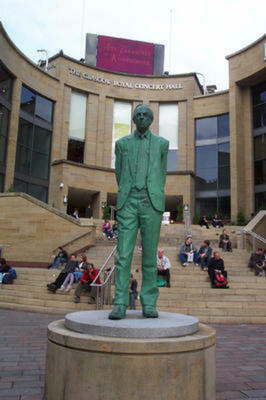 Donald Dewar: Scotland's first first minister. Edinbrgh: Mainstream. World Changing Project, "First Minister of Scotland 1999-2000," in University of Glasgow World Changing (University of Glasgow, 2010); http://www.worldchanging.glasgow.ac.uk/article/?id=42 (accessed April 26, 2019). World Changing Project. "First Minister of Scotland 1999-2000." In University of Glasgow World Changing. 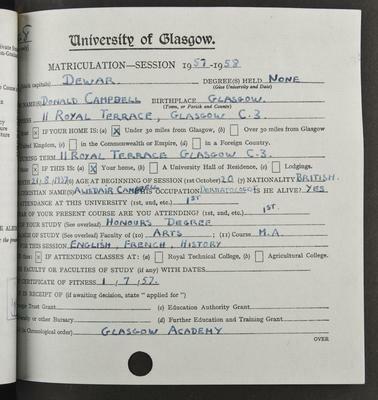 University of Glasgow, 2010. http://www.worldchanging.glasgow.ac.uk/article/?id=42 (accessed April 26, 2019). World Changing Project. "First Minister of Scotland 1999-2000." University of Glasgow World Changing. University of Glasgow, 2010. 26 April 2019 <http://www.worldchanging.glasgow.ac.uk/article/?id=42>.